I love triangles. 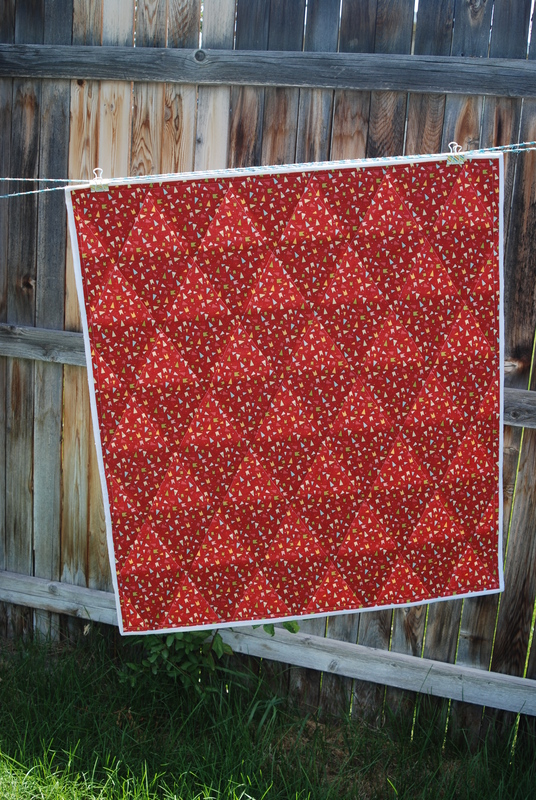 I want to buy pretty much every fabric ever made with triangles. 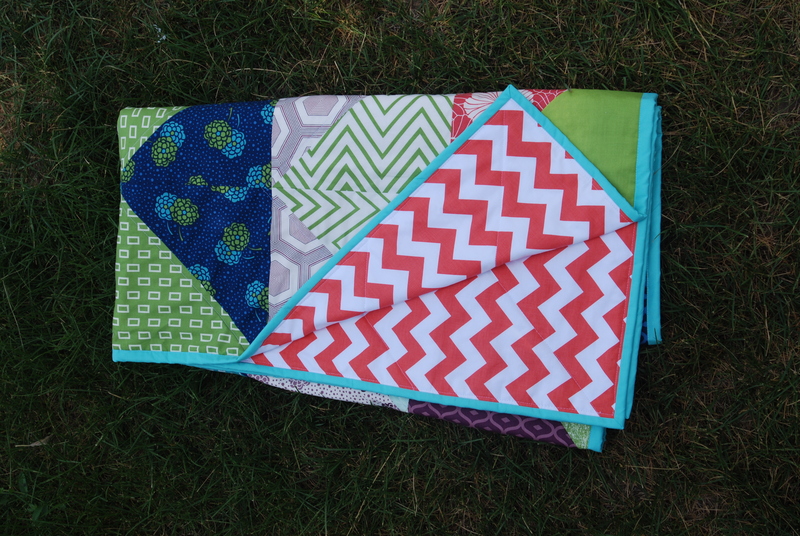 I also love triangle quilts. Maybe I don’t always love making them, but sometimes I do. Especially when they are finished! 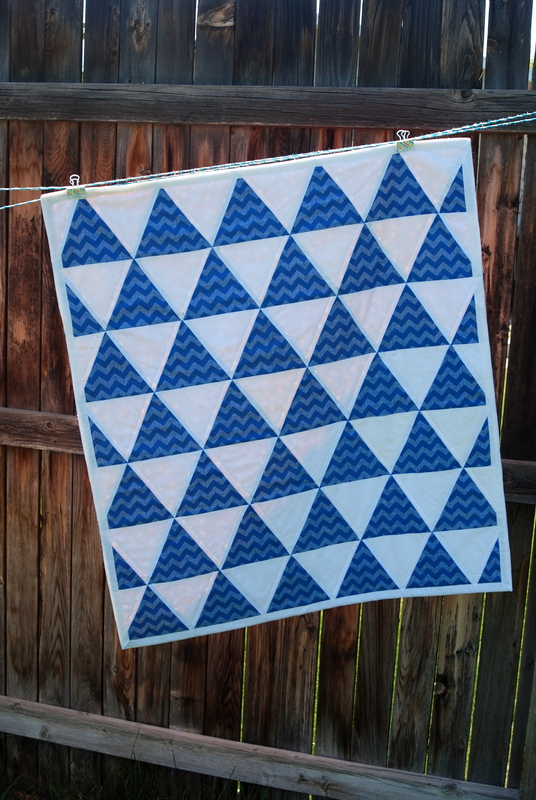 This one I loved, but getting points to match up on my first triangle quilt was moderately frustrating. But I pressed on, and am happy with the end result! 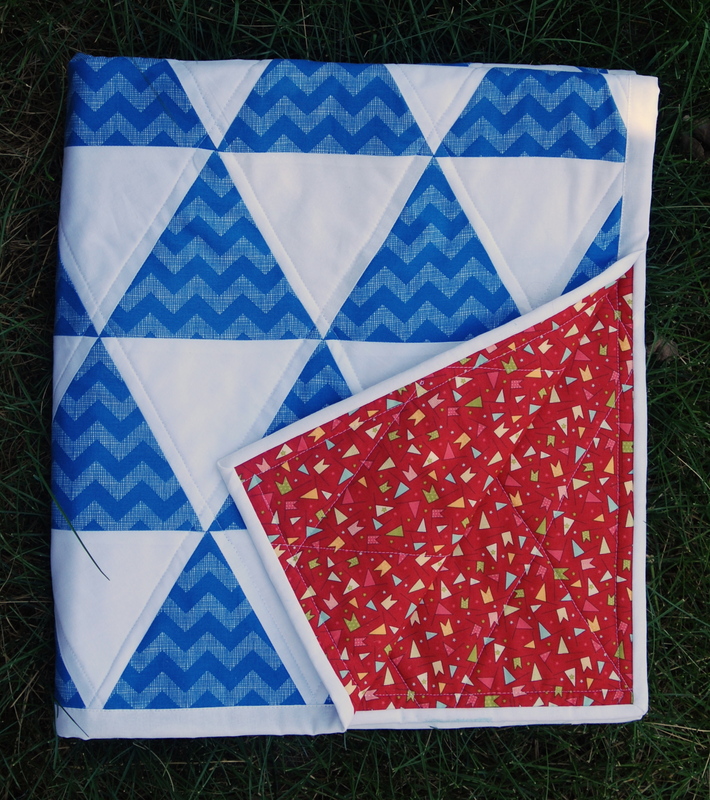 The front is fun blue chevrons and white triangles, and the back is an adorable red flag print from the Wishes line by Moda. 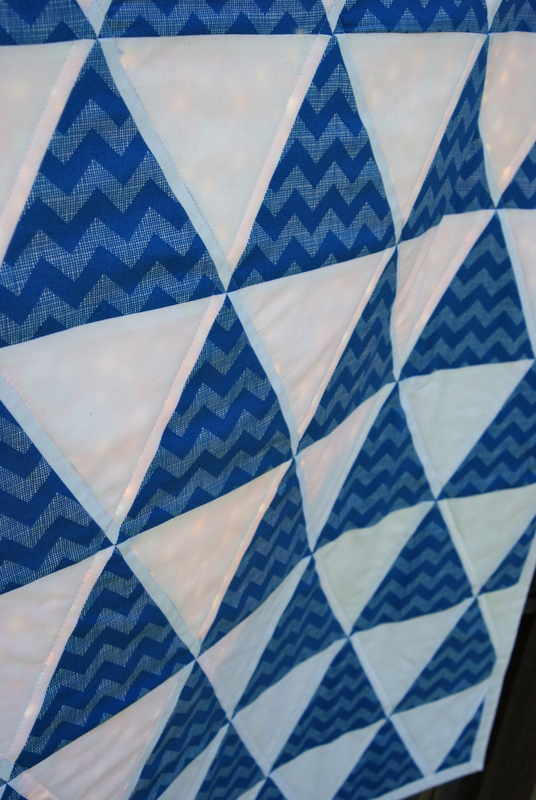 I quilted it on two sides of the triangles, which made a cool diamond pattern on the back. This one is in the shop! 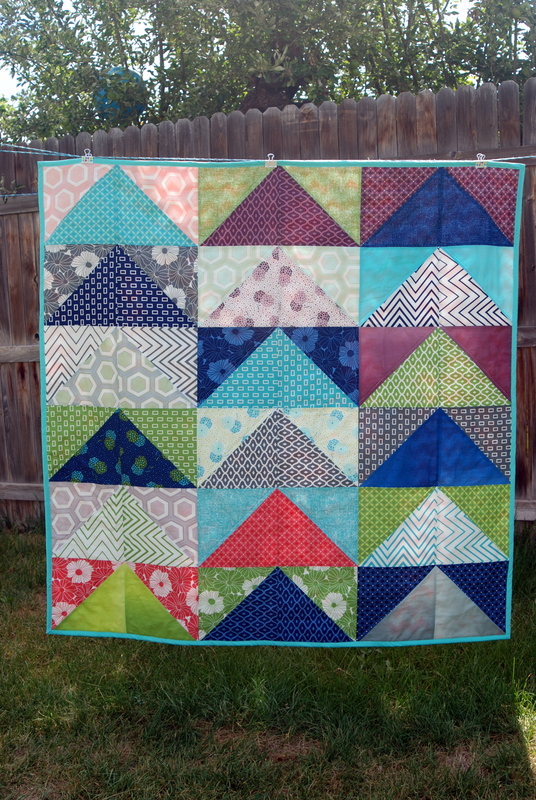 This next quilt I struggled with. I had an original plan, which changed 3 or 4 times in the process of making it. In the end I liked it well enough, the fabrics are awesome (from V & Co.’s Simply Style for Moda) and I had used a layer cake so there was not tons of time spent cutting (just used big 10″ pieces for the HSTs), but it just never turned out how I imagined. And that’s ok. 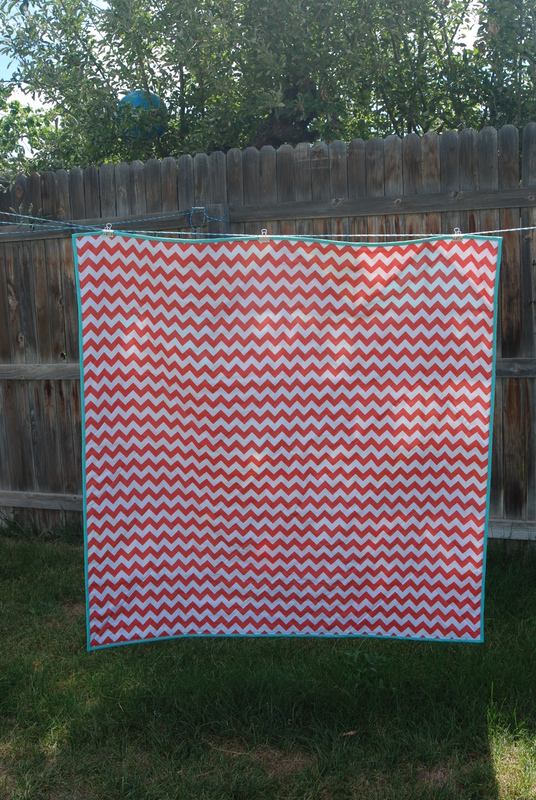 I ended up giving it to my sweet neighbor after she miscarried and she and her 3-year-old spent lots of time snuggling under this bright cheery throw, so I was happy!